How one mining firm took a risky decision and reaped the benefits in its reputation and share price. If you get dragged into somebody else's crisis, how do you avoid reputation collateral damage? Answer? Proactively stake out your position; differentiate yourself; reinforce to stakeholders what makes your brand compelling. The violent labour dispute and deaths at Lonmin's Marikana platinum mine have turned the global media spotlight on to South Africa's mining industry. 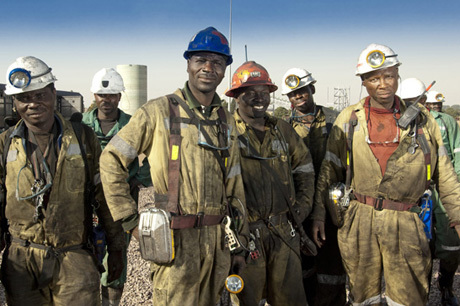 As of mid-September, Anglo American is emerging as a winner. Anglo American's platinum business is under pressure following a collapse in platinum prices in 2008. But in all its statements, while acknowledging 'the risk to (the mine's) long-term viability', it has prioritised people. What was good for employees was good for investors. Within two days of its announcement, Anglo American's share price was up almost ten per cent. During a crisis, organisations are often tempted to think about the business implications first. But effective crisis managers communicate messages that reflect the interests and concerns of all their stakeholders. In priority order, these are: people, environment, property and only then finance. Crises offer the opportunity to reinforce your brand positioning. Express concern and commit to action but offer perspective and contextualise it within the parameters of your corporate narrative. This ensures consistency across your comms and greater understanding of your firm by stakeholders.